Not a regular deal any more. It used to be and I miss it. (not the creeper cops on Rt.11 though ). Now we usually only get as far as Governeur or Clayton. Not sure what the deal is with the PM's. Just offered to buy breakfast if the Governeur trip is a regular deal. I'm not too far up the road. I got your PM...but I can't open them for some reason ? 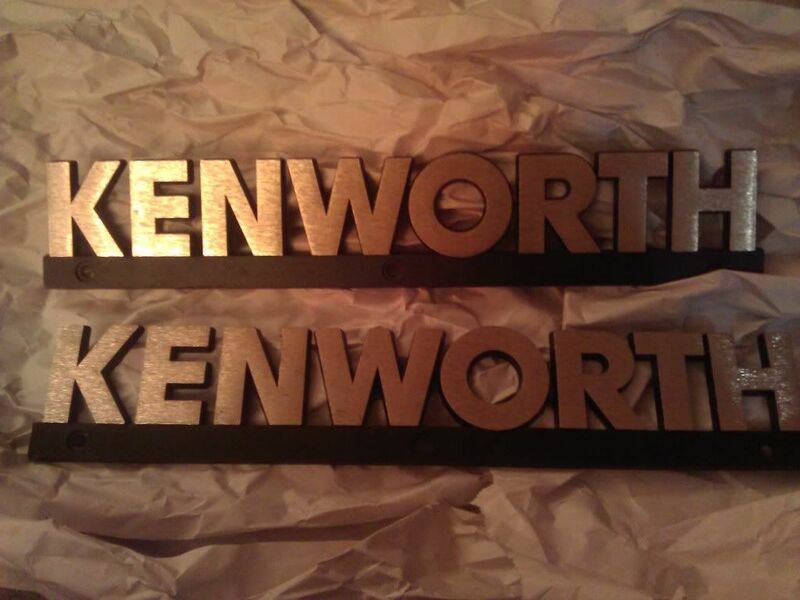 Scored a pair of NOS gold colored Kenworth name plates on eBay this week. 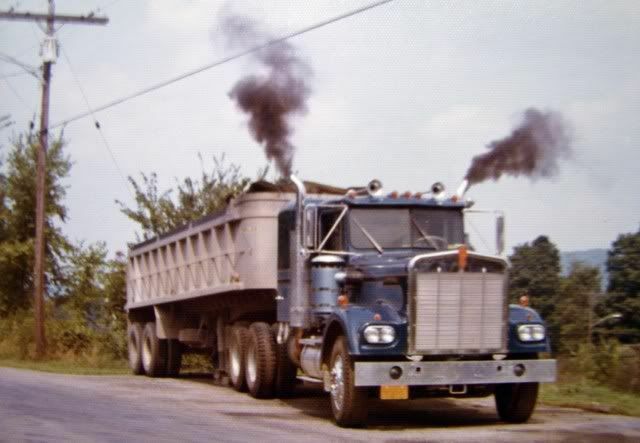 Not a lot of these floating around as they only used them for the 1973 model year and for the "007" W900L KW's in 1990. Know what you went through ! It would have been a lot easier to get a better hood but we wanted to keep the old school hood with the center strip that they used before the newer style with the molded V . Some of the problem we had was the old hood was wrecked and patched and also worn really bad and nothing fit. The hood doesn't even center up good with the steering axle...but we got it good enough for us. Going to be in your neighborhood on Tuesday. First drop is 7AM in Gouverneur and then across the top and into VT. for the next drop. It was the Mexican aftermarket set. Amazing welding work as the crown is welded together from three pieces and polished. But it did take three of us a day to get the thing on there. Looks great ! Was that a KW grill, re-chrome, or one of the stainless aftermarkets ? Dad and I used one of the Mexican aftermarkets on ours. It works fine for us....and fit the budget...but on heck of a job fitting it ! 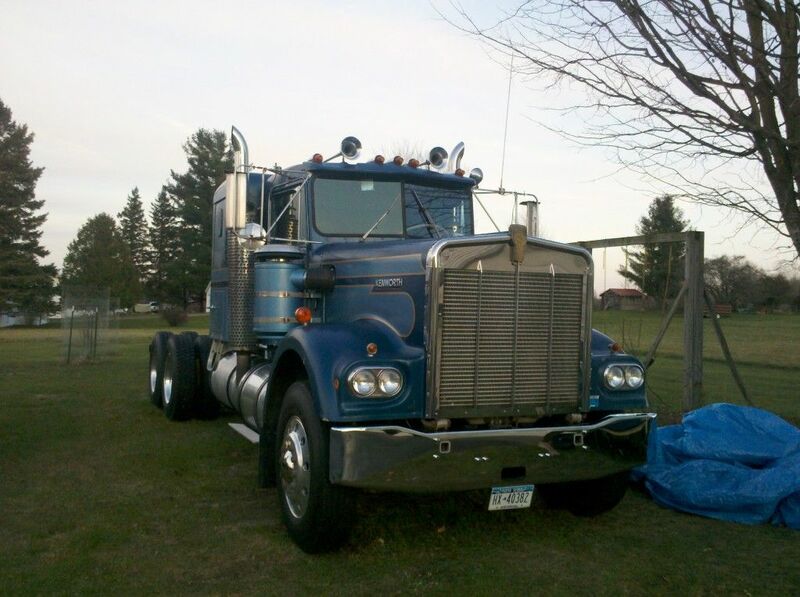 That Kenworth is really looking good, a perfect example of a classic A model. Execution: 0.062. 16 queries. Compression Enabled.